I’ve lived in the Raleigh area for twelve years, grateful to be close to beaches and mountains. We visited Raleigh’s parks and free museums, too. But the city offers so much more that I’ve just recently discovered. The Raleigh area is home to world-class museums, theater, symphony, opera and ballet, professional sports, golf, incredible festivals and shopping. The Raleigh area hasso much to offer, I’ll spend the next ten years discovering my own backyard. I discovered that the convention and visitor bureaus (CVB) in this region offer the same great information that other CVBs across the nation offer. Don’t laugh… I just didn’t think about the fact that I can access my local CVB to plan weekends, day trips or other fun activities. Maybe it’s because CVBs use language like “Visit” and “Travel.” Maybe? I was wrong! The CVB is a great resource for locals too! What can your local CVB do for you? Have you ever had family or friends come visit for a few days and struggled with what to do? CVB websites offer information on attractions, restaurants and parks. What’s even better is most CVB websites offer itineraries. Read through the options and plan your day. 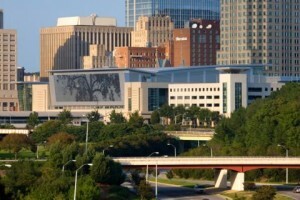 Visit Raleigh – with itineraries for different interests. Johnston County (southeast of Raleigh) – offering itineraries throughout the county. Durham Guides – offering itineraries and walking tour information. I have used CVB resources for trips away from home, so I am confident your CVB has ideas for you too! Have you ever stared across your coffee cup at your significant other and wished the family could do something? Anything? As long as you’d never done it before? The CVB has your answer! Research festivals, then pack the kids into the car and venture out. Or, check out press releases on new restaurants in the area and dine someplace new. Check the “discount” page to find current discounts and coupons offered in your area. Nothing beats budget friendly fun! Spring’s coming! Why not head to the local park and discover nature in your own backyard? Parks departments offer discovery classes, guided hikes and wilderness events year-round. CVB websites include links to local park websites, providing easy access to great information. When you use the CVB to discover your own backyard, it helps you! Local tourism income helps keep taxes low. You can spend your hard earned dollar in a nearby state or community, or you can spend it at home. Either way, you’re spending money — for gas, admission fees, food and/or souvenirs. Taxes paid on all these items goes into that city’s “piggy bank.” So, the more money you spend at home, the fuller your town’s “piggy bank.” When enough tourism dollars fill the piggy bank, other local taxes go down (property taxes, local income taxes, etc). When you use the CVB to discover your own back yard, you spend less on travel expenses AND you improve the local economy. This week I’m highlighting some great things to do in the Raleigh area. I’ll be using my local CVB sites as resources. Maybe we’ll convince you to come visit our friendly area… at the very least, I hope you’ll discover what a great resource the CVB can be! I am just checking out the Kissimmee CVB because we just moved down here from NYC about 7 months ago. That’s a great idea, plus they might offer discounts. I used to always get books of discounts for local museums, restaurants, etc. when I traveled. But, I never thought about using our own CVB either! This is a great reminder. I use the San Diego CVB for events listing but never really thought of the other neighboring cities’ CVBs to plan out activities. I’ve only been on a layover in Raleigh and visited the Outer Banks area many years ago so I’m looking forward to learn more about your home city. I think of this when I go on trips, but I haven’t once done this in my own home state. What a great idea for the summer. You know I think you are bright – now I am convinced 😉 Good Idea to use them for visitors or for yourself. What a good idea! Last summer we did the “vacation in your own backyard” theme and I know that we could find even more locations in Portland, OR through our CVB. I’ll give that a try. Happy to have connected with you through VoiceBoks Members To Remember. I absolutely love it when a sample or suggested itinerary is provided. It gives me a good starting place in planning! The CVB sounds like another great resource for a staycation! You know, I’m having a “duh” moment right now, because I didn’t think of this either, but it certainly makes perfectly good sense! Thanks for sharing! I love North Carolina! I’ll have to make a visit to Raleigh one day in the near future. It’s a great place to visit! And an even better place to live. Enjoy this week’s posts. This is fantastic! Love all of the great info!